Gate services for Mansfield, Midlothian, Kennedale and surrounding areas. Our Home the place where will feel the safest, it has the privacy and security we need to relax and remove stress. Your gate is the first impression to guests but you want something that is strong and secure to keep unwanted people out. You want something that makes a statemtnt but is also very beautfiul to visitors. The way our gates are built is extremely important so it provides safety to you and your vistors. Here are differnt types of gates we can install at your home. We pay close attention to the materiasl we use on our gates, and only use the highest and best quality steel or wood. Unlike many companies, whose gates need replacing or repaired in a short few years, you wont have to worry about replacing or repair our gates. Our steel is powdered coated and wood treated so they are weather and pest resistant. We want your gate to last for many years. You can have differnt types of gate for your home and we can help you pick one out that best complements your home. Want an elegant look? We can build you a nice wooden gate with a powder coated steel frame that is very durable and beautiful. Ever had to open a gate in the pouring rain? We can install an automatic gate opener, so you wont have to get out of your vehicle to open and close the gate. Even when the power is out, you'll still be able to open your gate. We can install a security systems at your gate to increase the security of the property and to help you feel more secure. It can also lower your home insurance. Other companies wont be able to match our professionalism and expertise. We have experience installing any type of gate. Everything from sliding gates to overhead gates we are the company to call and also delivering professional results. We can do it all. 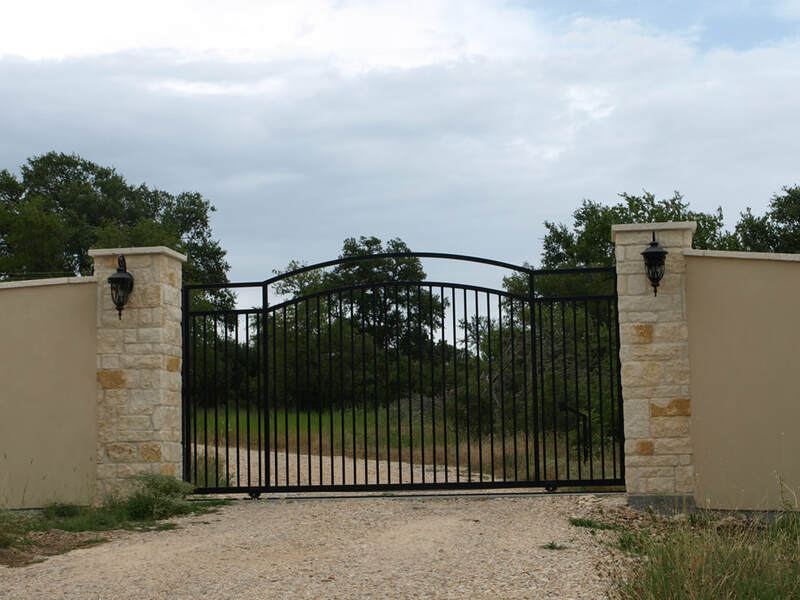 Want people turning their heads, call us today to get started on your new gate,817-592-9785. You can also fill out the FREE Quote form and our staff will get ahold of you.